The release of the Mueller report and the hard questions of justice: The challenges of seeking justice in a hyper-partisan age When the demands of justice meet the reality of justice: Why, in a political age, politics always dominates Bigger than the headlines: The centrality of the cross and resurrection to Christian faith and hope The post Friday, April 19, 2019 appeared first on AlbertMohler.com. Tigers Woods’s victory at the Masters is being called his redemption story, but Christians should think carefully about the secular use of theological words like ‘redemption' What a recent article challenging religious liberty reveals about the culture’s demands on churches and religious institutions The Guardian attacks religious teaching on gender, revealing that society requires complete secularization and opposes all religious truth claims The post Thursday, April 18, 2019 appeared first on AlbertMohler.com. Planned Parenthood is rebranding … or is it? The insidious reality of speaking of abortion as simply an issue of reproductive health Moral revolutionaries take aim at Michigan adoption agencies: Where the government’s money goes, it’s coercive hand soon follows Australian rugby star Israel Folau cut by national team because of his religious views, demonstrating that it is a rough world for those who stand against the sexual revolution The post Wednesday, April 17, 2019 appeared first on AlbertMohler.com. Notre Dame cathedral in Paris burns: What this historic cathedral tells us about the development of modern France How the media's description of Notre Dame as a national symbol instead of a place of worship reveals the current state of European modernism Pope Benedict XVI comes out of hiding to attack the moral and theological liberalism in both Western society and the Roman Catholic church The post Tuesday, April 16, 2019 appeared first on AlbertMohler.com. What the first picture of a black hole tells us about the amazing capabilities of mankind, the mysteries of God, and the reliability of God’s self-revelation The largest election in history begins in India where everything from advanced electronics to elephants will be used to collect votes Richard Cole, the last survivor of the Doolittle Raid, dies at 103: A reminder of the courageous men who brought hope to the nation after the attack on Pearl Harbor The post Friday, April 12, 2019 appeared first on AlbertMohler.com. What the reelection of Benjamin Netanyahu to a fifth term as Israeli prime minister tells us about Israel’s political and theological worldview Scientists speculate that newly-discovered bones could be an ‘early human species’: Why a person’s understanding of creation and human descent has moral consequences Abortion pills soon to be available in campus clinics across California: How the language of the culture of death is oftentimes deceptive and conceals the moral horror of abortion The post Thursday, April 11, 2019 appeared first on AlbertMohler.com. The soap opera that is the college admissions scandal continues to unfold as Felicity Huffman makes a public statement confessing her guilt Major media is finally acknowledging ‘Unplanned’ because of its box office success: What this tells us about the role of film in driving the culture What the revival of Alex Rodriguez from disgraced baseball outcast to popular broadcaster tells us about the moral compass of America The post Wednesday, April 10, 2019 appeared first on AlbertMohler.com. USA Today (Samuel Adkisson) - So Yale Law School endorses anti-religious bigotry now? New York Times (Jillian Jordan and David Rand) - Are You ‘Virtue Signaling’? 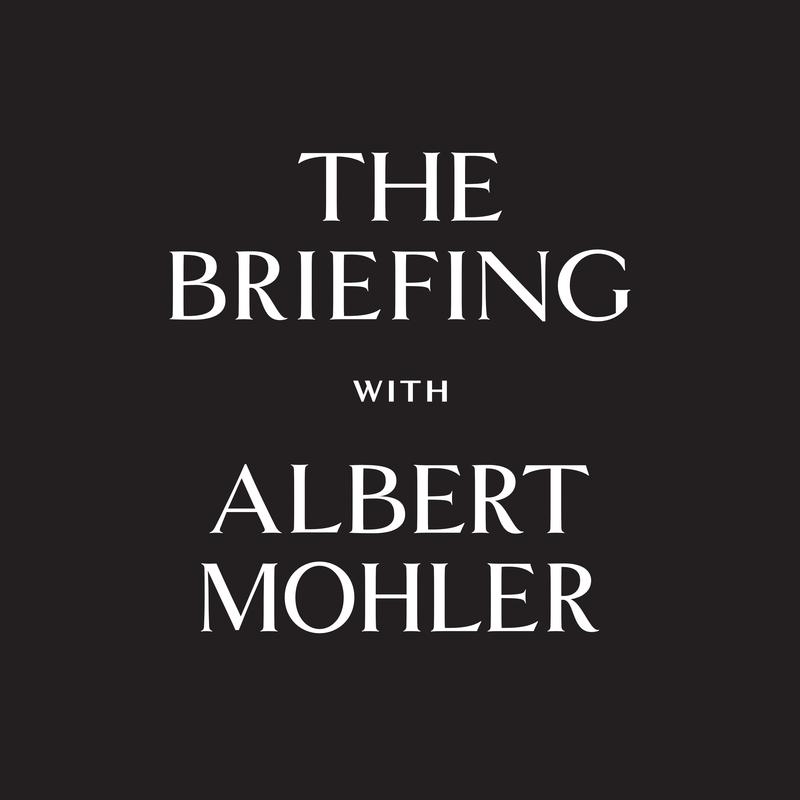 The post Monday, April 8, 2019 appeared first on AlbertMohler.com. The post Friday, April 5, 2019 appeared first on AlbertMohler.com. The post Thursday, April 4, 2019 appeared first on AlbertMohler.com. Younger generations are moving to the left: What cultural conditions have led to this change and what should the church’s response be? The post Wednesday, April 3, 2019 appeared first on AlbertMohler.com. The post Tuesday, April 2, 2019 appeared first on AlbertMohler.com. The post Monday, April 1, 2019 appeared first on AlbertMohler.com. Washington Post (Elahe Izadi and Bethonie Butler) — Jussie Smollett says he wants to ‘get back to work.’ But can his career recover? The post Friday, March 29, 2019 appeared first on AlbertMohler.com. The post Thursday, March 28, 2019 appeared first on AlbertMohler.com. The post Wednesday, March 27, 2019 appeared first on AlbertMohler.com. Can a religious school actually operate by its own religious convictions? Increasingly, our society is shouting “No." The post Tuesday, March 26, 2019 appeared first on AlbertMohler.com. With the findings of the Mueller report now released, what should Americans look for as we examine the special counsel’s report and the political responses to it? The moral dimension of politics: Why did some Americans want the President of the United States to be accused as a criminal? Washington Post (Randall D. Eliason) — Mueller’s investigation is over. Americans should breathe a sigh of relief. The post Monday, March 25, 2019 appeared first on AlbertMohler.com.